W are large stockist & leading supplier & exporter of Chromium Copper Alloys. Chromium Copper is the primary copper alloy used for resistance spot and seam welding. Chromium Copper is a high conductivity Copper Alloy that obtains optimum properties from both heat treatment and cold working. 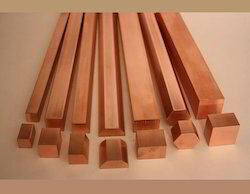 Chromium Copper offers resistance to softening at elevated temperatures along with good strength and hardness. In addition to resistance welding applications Chromium Copper is used for numerous electrical applications where resistance to deformation at high temperature is required. Highly used for spot welding & machine products. 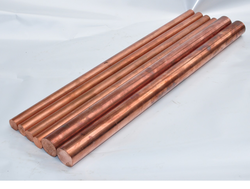 We have a huge stock of Chromium Copper Round Bar it is the primary copper alloy used for resistance spot and seam welding. Chromium Copper is a high conductivity copper alloy that obtains optimum properties from both heat treatment and cold working. Chromium copper offers resistance to softening at elevated temperatures along with good strength and hardness. In addition to resistance welding applications chromium copper is used for numerous electrical applications where resistance to deformation at high temperature is required. Chromium Copper is the primary copper alloy used for resistance spot and seam welding. Chromium Copper is a high conductivity copper alloy that obtains optimum properties from both heat treatment and cold working. 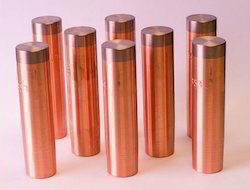 Chromium copper offers resistance to softening at elevated temperatures along with good strength and hardness. In addition to resistance welding applications chromium copper is used for numerous electrical applications where resistance to deformation at high temperature is required. Looking for Chromium Copper ?